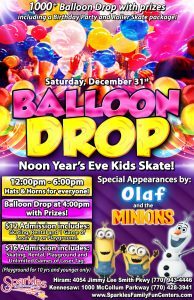 Noon Year’s Eve Kids Skate! GIANT Balloon Drop. Come celebrate the start of 2017 with your family at our Noon’s Year’s Eve Celebration Saturday, December 31st! 12:00pm – 6:00pm. Hats and Horns for everybody! Special Appearances by the Minions and Olaf! 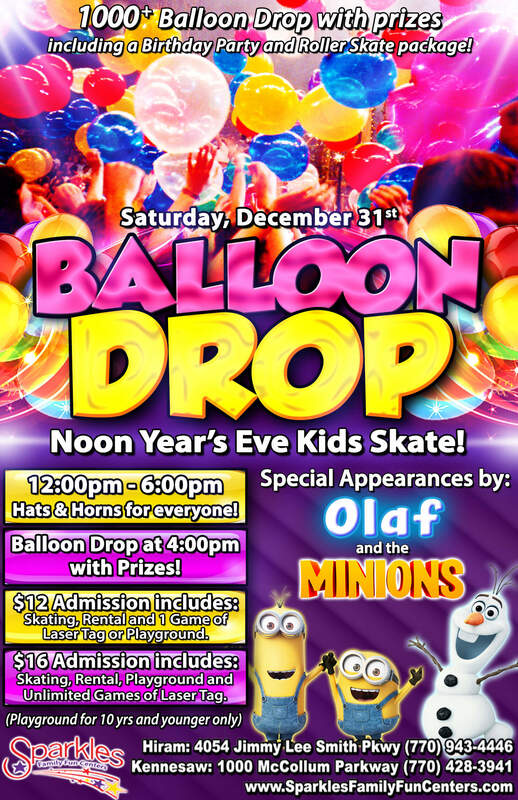 HUGE Balloon Drop at 4:00pm – Balloons are all filled with a variety of prizes, cash and free passes!